I have just written a technical review of the new Harman Direct positive Paper for Black and White Magazine here in the UK. The piece will probably be in the January issue, but I thought I’d like to share my enthusiasm for it here. For my test I loaded a 5×4 darkslide with a sheet of the FB paper and pulled the darkslide half way out. I preflashed the paper in camera by exposing through a sheet of white paper (this needs to be metered correctly, -see upcoming magazine article), then I pulled the darkslide out all the way and did the main exposure. As you can see from this example, the pre flash makes a huge difference to the tonal range. Because of the short latitude of this paper, a good, reliable hand meter is recommended. An incident reading will give you the quickest accurate reading, though a spotmeter could give more information once the range of the paper has been established using your own developer. Always use fresh developer, Only develop under red safelight and don’t turn on the lights until the print is fixed. 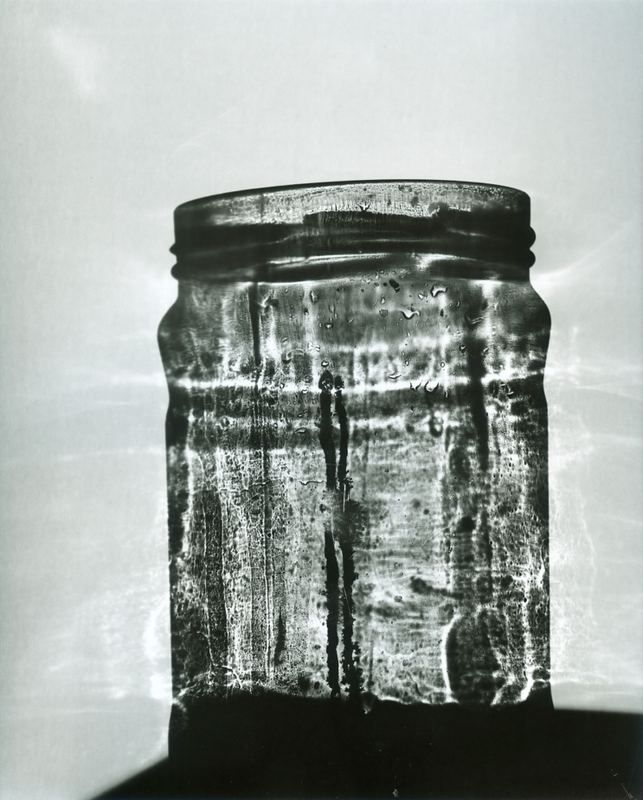 The paper is really great for photograms too, as you can see from this image of a jar. When used in camera, it produces images which are reversed left to right and for portraiture this is often flattering to the sitter as they always see themselves that way in the mirror, so they view these images as being more accurate. I intend to do a lot more with this paper, I think it has a lot of potential. I hope they consider producing a lower contrast version in the future if this is at all possible. I rather like the stuff too. I develop in really weak developer which seems to tame the contrast as well as the pre-flash. Might even buy B&W to read your article! I usually get my B&W about 4th hand, but yes, I’ll be buying this one too. Thank you. Great post and fantastic imagery! Thanks, good luck with your fisheye stuff, I went wild with my first one too! -but that was years and years ago, I’ve not used one for so long now. Seeing your shots reminds me I should dig it out again. 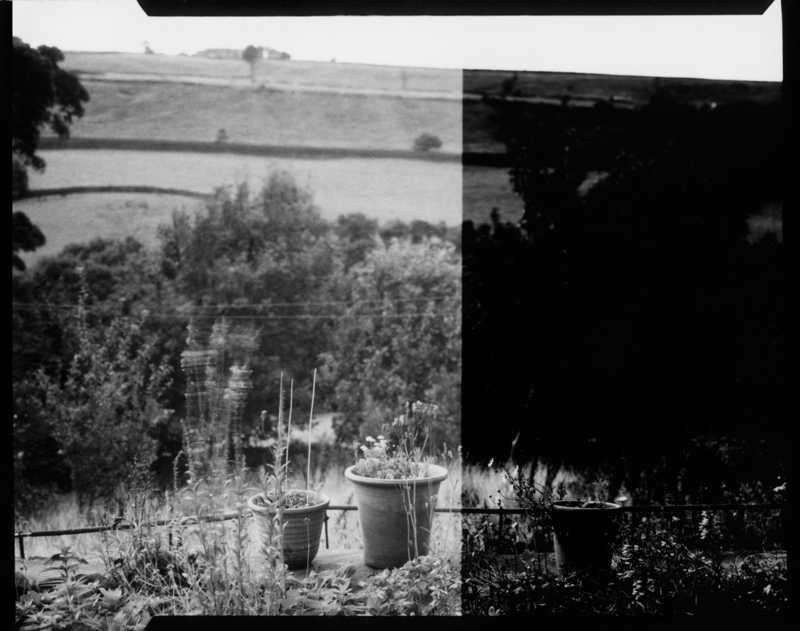 Interesting post, I’m dying to try this paper for pinholing so I shall no doubt buy B&W as well! Where do I find a copy of the article you wrote about this paper? I looked on the B&W(UK) site and did not see an article listed on the magazine cover for January. Is it posted online for me to read? Or, can you let us know for sure which issue it is published in so I can order that issue to be delivered to the US. I come across this sometime after the January magazine has been published. Is it possible you could add some more detail to the level of pre-flash you have experimented with. Dear David, I will be doing a follow up article here sometime soon. I’m currently busy with Gum printing which takes up quite a bit of time. Dear Dan, I’ll have a look through my back issues and drop you a line when I find it. Do you have any reference or follow-up on the use of DPP for photograms? The image you posted is fantastic. However, typically photograms are left in the sun for hours and treated with fixer only, no developer or caffenol etc. I have been able to get fairly good images with limited exposure (1 hour+), but even gold will not preserve the image and Hypam following only produces a completely white paper. Image lost or in hiding. Would not take selenium toner either. I there is no need to pre-flash if using natural UV, but where to go from there once the image forms? Thank you! Dear Mariana, I haven’t tried this paper for daylight/UV photograms in this manner. I think the long exposure will totally overexpose the paper and once gone, it will not return. 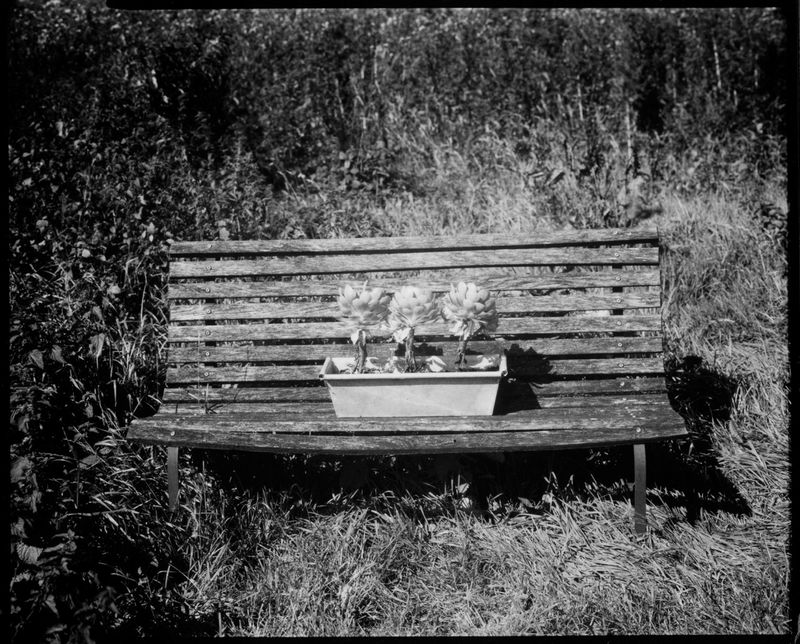 This entry was posted in Uncategorized and tagged Darkroom, Direct Positive, Experimental, Printing, Reversal on September 28, 2010 by andrewsandersonphoto. HI Andrew … did you get around to sorting out the pre flash details? I’ve had some great successes with this paper, and some awful fails too. I cant seem to get consistency. I’ve got a project in mind for the new batch that comes out in July, so want to get to grips with the stuff again. Any tips would be most welcome. I’ve just taken delivery of a box of this paper in 5×4 and would really appreciate some tips on pre-flashing in camera if you don’t mind sharing. Many thanks.